Our team has been working together with veterinary practices for more than 25 years, developing a unique, adaptable practice management system that is more flexible than anything else you'll find on the market today. Our business philosophy has always been "be helpful, be better and ALWAYS be human". We're one of the few or maybe only veterinary technology company that designs, develops and supports our own adaptable practice management system in house. When you call us you speak with the actual people who develop and maintain your QuickVet. Over these many years, we've discovered technologies that compliment QuickVet and help our client practices provide the best medical care for their patients, including QuickPACS, J-Ray Laser Systems, BitDefender, MozyPro, just to name a few. Whether you need a veterinary practice management system, have a question about our technologies, or make sure we really are as human as we claim... call us at 1-302-659-0343 or click the button to send us your questions! Since birth, QuickVet has evolved within the veterinary practice, with all functions and features focused on your needs. 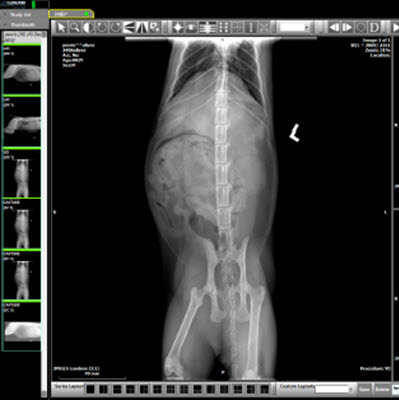 Your digital radiographs are just a click away in QuickVet when stored in QuickPACS. Plus, you can easily share these images with the client or a referring veterinarian. We work closely with our client practices, and have amassed a wealth of information on the technologies and tools that our practices have used to succeed. Experience QuickVet and our technologies at these upcoming Veterinary Conferences, and tell us about your needs! QuickVet and our Technologies Adapts to your Practice, Providing a Solution to Managing that is Unique, Effective and Guaranteed. QuickVet Practice Manager adapts to your veterinary practice, fitting the flow of patients through your hospital and managing all their activities, needs & analysis. With our unique approach to training and implementation, we take the time to develop a plan that is ideal for your hospital and is under your control. Most veterinary hospitals across the U.S. and abroad are still storing image data locally while the medical industries on the human side are enjoying off-site, cloud-based storage solutions and have been for years. We have worked hard to offer the veterinary market off-site, cloud-based storage solutions that go above and beyond at a price that you won’t find anywhere else. Seven (7) or Twenty-One (21) years of archiving, access and storage of all images. DICOM viewer with a wide variety of measurement of viewing tools. 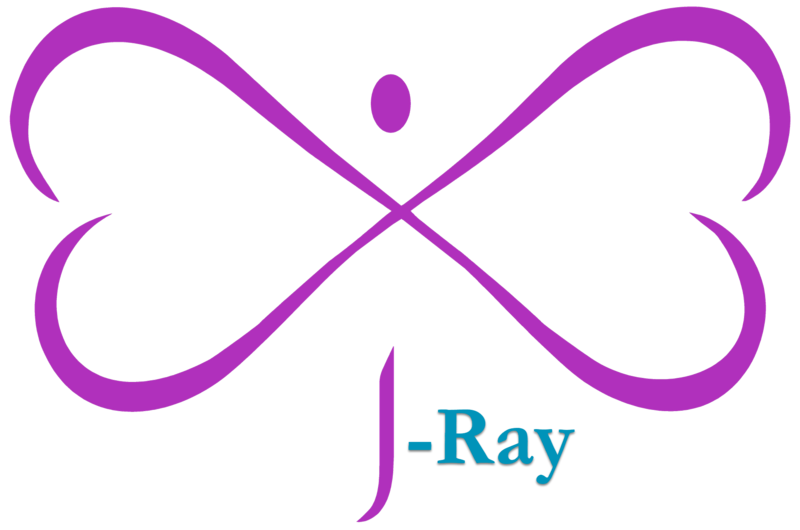 The J-Ray Laser System is a specially designed laser system that can perform superior Therapy Treatments and Surgeries. 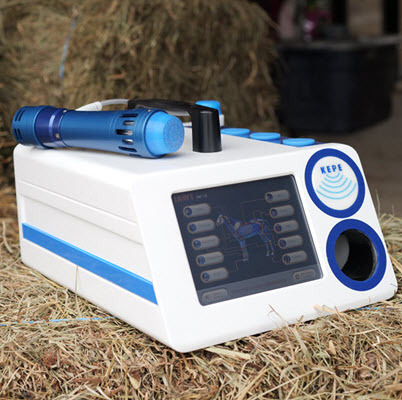 By simply switching probes and changing treatment protocols in the easy-to-use touch-screen software, the J-Ray Laser System will stay busy working for you all day long… This versatility makes it the perfect fit for just about any veterinary practice. Backed by a 2-Year Warranty, the highest quality laser diodes available in the world is incorporated into each laser ensuring years of reliable operation and performance. These diodes are self-calibrating resulting in the savings from not having to calibrate the laser annually. Two operating modes are built into the laser providing a choice between Continuous Wave (CW) or Pulsed Modes (Frequencies). 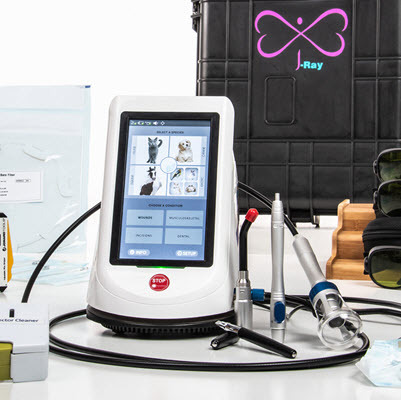 High dosage laser Therapy (HDLT) from J-Ray offers a powerful new solution for numerous painful conditions previously refractive to traditional medical care. Laser Therapy is a highly effective alternative to traditional therapies such as cortisone injections and many times even surgery for a wide range of problems. Learn more at our next Conference! Please visit ServiceNet's booth to experience QuickVet and our J-Ray Laser System at the 2019 Southeast Veterinary Conference on June 23 - 26, 2019. The Conference is at the Hilton Head Marriott Resort and Spa on Hilton Head Island, South Carolina. Click here to visit the Conference's website! QuickVet is fully customized, including creating any special reports and analyses, specifically for your hospital. Your clients will appreciate the unique look of your invoices and communications, providing a consistent image with your hospital's image. You can use less paper in your practice by entering all information in QuickVet, in a more efficient mannner, with our Electronic Medical Record, Exam Templates and Proformas. QuickVet helps you provide the highest level of communication with the client, and with it’s adaptive capabilities, communications can be presented exactly the way you want it! On-site and remote training are available to help you get the most out of QuickVet. Remote training provides a very flexible environment to learn QuickVet, at your pace and convenience! You need to enter information only once; this information can be presented or printed with inﬁnite possibilities. All information is entered in the same fashion, to facilitate new users and standard protocols for your practice. For increased security, QuickVet can automatically open cash drawers only at assigned stations by authorized personnel. Authority codes are established allowing minimal to maximum entry into multiple levels of the system. 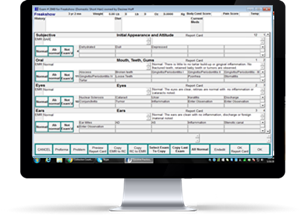 A standard set of data is provided so you can start using QuickVet from day 1, and it will include your present data, maintaining account numbers, codes, and other information with which you are familiar. We're here to help with all your technology needs: hardware, software, networking, internet, web prescense, etc! Our QuickVet Practice Manager is fluid technology with real-time veterinary activity, including inventory control, payroll, accounting, and clinical record keeping through our Electronic Medical Record. Using an open data set, QuickVet includes the Enhanced Appointment Scheduler, handling over 400 doctor schedules organized by services and meeting the demands of one of the largest animal hospitals in the world. 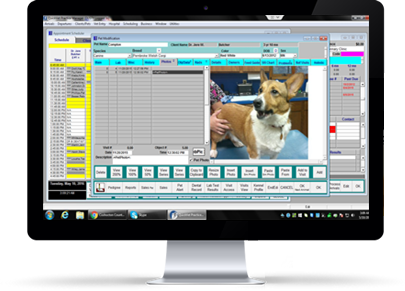 With customized interfaces and reports to meet your hospital's needs, QuickVet flows as your practice flows, handling all data and information, including text, pictures, video, sound, faxes, and interfaces to laboratory equipment. 360° Approach to Technology: We can assist with all aspects of welcoming your hospital into the digital world: recommendations and reviews of hardware, network cabling, internet access, etc. QuickVet works seamlessly with all open technologies: Bar Codes (scanners and printing), Tablet PCs, as well as Pet Portals/Vet street®, Home Again®, “The 5 Minute Veterinary Consult” on CD, and Healthy Pet Magazine, to name a few. Updating QuickVet - Our Responsibility: We never send you CDs or files to update QuickVet. We perform all updates remotely, and don’t take up your time upgrading our QuickVet. Easy to Use: QuickVet has the most user-friendly, best performing Appointment Scheduler, with 2 versions, to fit the size of your hospital. Comfortable Transition to QuickVet: ServiceVet never requires your hospital to be closed during the transition. We discuss a plan designed specifically for your hospital to provide a smooth transition to QuickVet, including 2 data conversions, and adequate training prior to going live. Boarding Facility + Veterinary Hospital: QuickVet can maintain a boarding kennel and the veterinary hospital using the same data set, but allow separate analysis for each business. Multiple Hospitals Managed by one QuickVet: QuickVet can manage multiple sites and business units using the same data set. A client arrives at one of your satellite clinics, and needs to see a specialist. QuickVet allows you to arrive that patient, document needs and produce estimates, check the schedule for the specialist at the main hospital, and even transfer that patient to the hospital's Departures for immediate access. Free Remote Training: We want you to get the most out of QuickVet, so we're here to help you anytime with remote training! Managing time, for doctors, staff, clients and patients, is critical to be a successful veterinary practice, and QuickVet helps! QuickVet is adaptable to your practice and your unique style of practicing veterinary medicine. Questions about QuickVet, QuickPACS or our services?! Call us toll free, on our dime, and let us help... 1-800-850-9292. 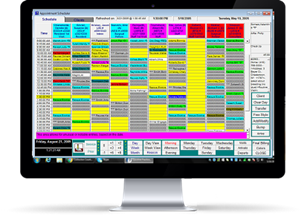 QuickVet has 2 different Appointment Schedulers to fit different styles of practices, integrated Time Clock and other features to maintain a handle on time. Our Exam template creates an interface where you enter your exam results in one step, and QuickVet automatically inserts the information into the EVR and prints a Patient Report Card!. 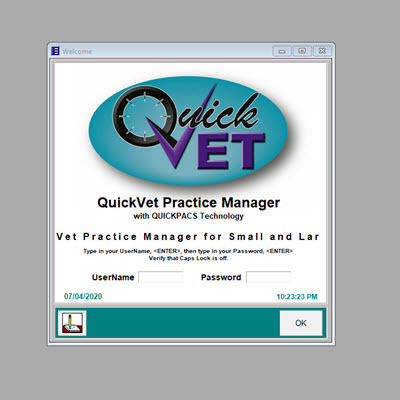 To select the practice management system that best fits your practice you must see it in action, so let us show you how easy QuickVet is to use, and how it helps manage your practice. ** Our on-site and web demonstrations are provided with no obligations. We assist with all aspects of welcoming your hospital into the digital world: hardware, software, wired vs. wireless networks as well as all open technologies including QuickPACS. Our team has been working together with veterinary practices for more than 25 years, developing a unique, adaptable practice management system that is more flexible than anything else you'll find on the market today. Our business philosophy has always been "be helpful, be better and ALWAYS be human". We're one of the few or maybe only veterinary technology company that designs, develops and supports our own adaptable practice management system in house. When you call us you speak with the actual people who develop and maintain your QuickVet. We're not the only ones excited about QuickVet and our Technologies! Thank you so much for all your help with our new software and so much more. It is greatly appreciated. It is service after the sale that brings value to a product and you have certainly proved that. Our technologies help your veterinary practice treat your patients, communicate with your clients, and become a more efficient busienss. 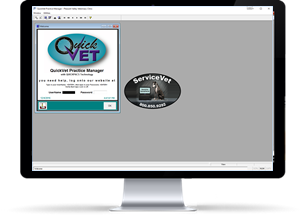 QuickVet, our Practice Management System, adapts to your veterinary practice, fitting the flow of patients through your hospital and managing all their activities, needs & analysis. With our unique approach to training and implementation, we take the time to develop a plan that is ideal for your hospital and is under your control. J-Ray Therapy/Surgery Laser Systems are the premier, best-priced, state-of-the-art physical therapy and rehabilitation laser available for veterinarians. This innovative laser also allows for minor surgeries when performed by a trained veterinary professional. Click here to learn about our QuickVet, QuickPACS and Other Technologies by signing for our Monthly Emails! Remote Customization and Training Please install our TeamViewer application and follow all on-screen instructions. We will then share your desktop to help! This login allows you to view a demonstration by appointment. Email us or call to schedule. Once instructed by our office, enter the PIN and a Name to identify you by and we will start the remote demo. Vist Us at these Conferences! Learn more about QuickVet and Our Technologies! © Copyright 1993 - ServiceVet Technologies LLC, All Rights Reserved.